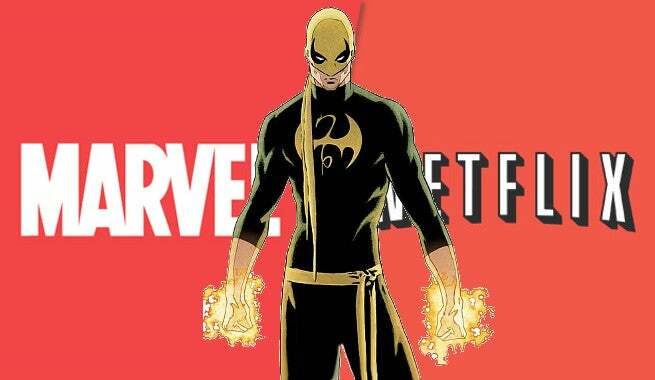 Just a few weeks ago, there were rumors flying that Iron Fist might be off the table for Marvel TV and Netflix, rumors that both CCO Joe Quesada and Marvel TV head Jeph Loeb have dispelled in recent days. Now, Comicbook.com has confirmed (with help from our friends at HH) that Iron Fist isn’t just moving forward, but has chosen a showrunner. Scott Buck, who served as EP on Dexter, and a producer on Six Feet Under, will take the reigns of the fourth and final solo series with Marvel and Netflix before they meet for a Defenders mini-series. Marvel describes Iron Fist as follows: "Returning to New York City after being missing for years, Daniel Rand fights against the criminal element corrupting New York City with his incredible kung-fu mastery and ability to summon the awesome power of the fiery Iron Fist." Those two shows, both on premium cable, certainly carried the dark tone that’s been established by the first two series, Daredevil and Jessica Jones, but little is known about the plan for Iron Fist so far. The character is by far the most all-out “superhero” out of the four Defenders, with a background that includes a mystical city, a superpowered punch, and kicking a dragon in the face, all pretty far afield of the light use of superpowers and mysticism we’ve seen on the shows so far. No new timeline has been given for Iron Fist’s debut. Daredevil season two is next, coming Spring 2016, with Luke Cage season one later that year. Jessica Jones launched a few weeks ago to critical acclaim, so it’s possible a second season could be on the way there, as well.